Maintaining network infrastructure is really challenging for most small and mid-sized businesses. The reason? Things are always changing. Employees come and go. Devices are purchased, repurposed, and scrapped. Security threats evolve. Adding new hardware yourself is fraught with peril. Will everything work together harmoniously? Will you configure it all correctly? The first step is adding the right partner to the mix. With more than 30 years of networking experience, we’re the go-to choice in the Northeast. The next step might be an upgrade to Cisco Meraki. Developed by M.I.T. 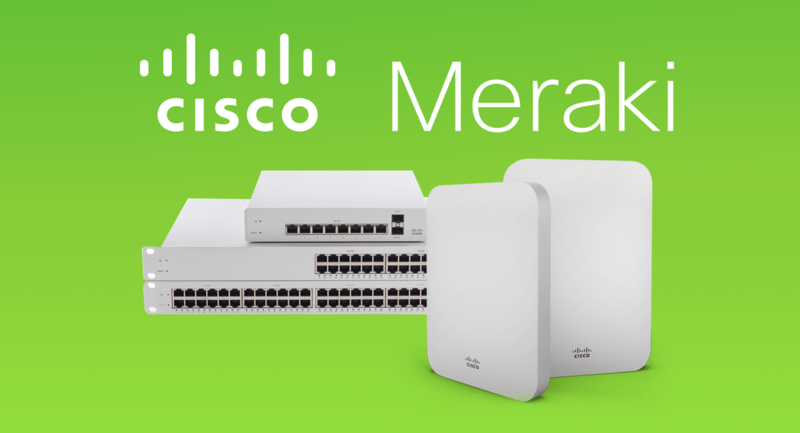 graduate students and acquired by tech powerhouse Cisco, Meraki offers a wide range of cloud-managed devices: switches, routers, and security appliances. It’s a powerful international brand that serves more than 230,000 customers and their 3 million network devices with a reliability SLA of 99.99%. Their offering is ridiculously powerful and scalable, which makes it perfect for supporting your growing business. Configure networking hardware with a streamlined dashboard, eliminating hours of tinkering and guesswork. Significantly increase your security by blocking dangerous content, malware, and other intrusions. Blanket your office space with fast, consistent wireless internet, even in hostile environments like the factory floor. Prevent downtime with automatic monitoring, alerts, and detailed analytics. Manage offsite locations as if you’re there in person, using a single, intuitive interface. Provision new users and devices quickly. Deactivate and wipe computers, phones, and tablets that are stolen or no longer in use. Reduce costs while you’re modernizing your technology. If you’d like to know more about how one or more of these products can empower your organization, contact us today.